The eWPT certification is not obtained by going through a multiple answer quiz. Find out why you should consider this certification and how to become a web application penetration tester. Wondering why our eWPT cert is respected by security managers at leading organizations? Simply because it is the only certification in the market with a challenging practical exam built after a real-world pentest of a web application. Why should you consider eWPT? Instead of putting you through a series of multiple-choice questions, you are expected to perform an actual penetration test on a corporate network. This penetration test is modeled after a real-world scenario. Not only do you have to try different methodologies to conduct a thorough penetration test, you will also be asked to write a complete report as part of your evaluation. These are the same kinds of reports that will make you a valuable asset in the corporate sector. 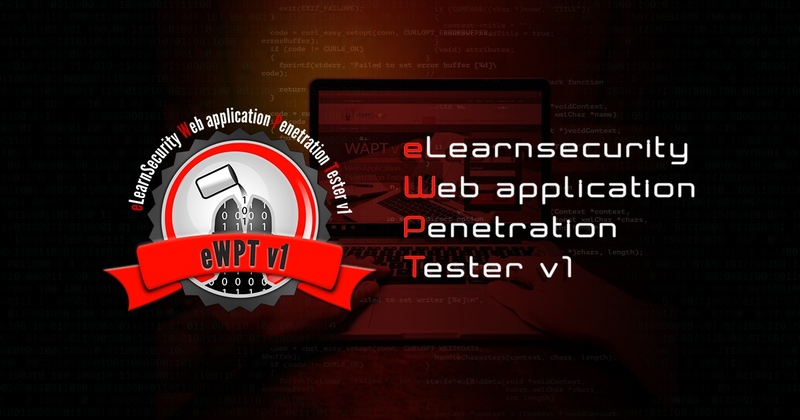 Only individuals who provide proof of their findings in addition to writing a commercial-grade penetration testing report that correctly identifies the weaknesses in this “engagement” are awarded the eWPT Certification. Interested in becoming an eWPT?